Anion resins may be either strongly or weakly basic . Strongly basic anion resins maintain their positive charge across a wide pH range, whereas weakly basic anion resins are neutralized at higher pHs. Weakly basic resins do not maintain their charge at a high pH because they undergo deprotonation. They do, however, offer excellent mechanical and chemical stability. 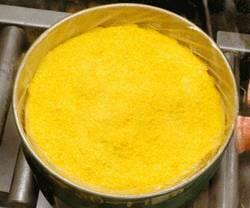 This, combined with a high rate of ion exchange, make weakly base anion resins well suited for the organic salts. Few ion-exchange resins remove activated charcoal filter mixed in with the resin. 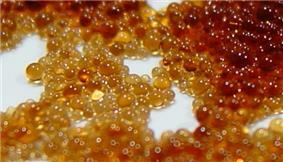 There are some ion-exchange resins that do remove organic ions, such as MIEX (magnetic ion-exchange) resins. Domestic water purification resin is not usually recharged – the resin is discarded when it can no longer be used. Ion-exchange resins are used in the manufacture of fruit juices such as orange and cranberry juice where they are used to remove bitter tasting components and so improve the flavor. This allows tart or poorer tasting fruit sources to be used for juice production. Friedrich G. Helfferich (1962). Ion Exchange. Courier Dover Publications.